Here is an example of a responsive web site made by my friend Viktor at We Made You Look. Simple, effective, based on wordpress. 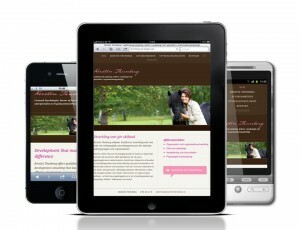 Embedding video in a responsive web design can be a hassle. With FitVids.js (via Think Vitamin) it is now a piece of cake. Check video below. It is clear that we did not plan under any circumstances for anybody to be opening it on a GameBoy, but, when somebody did recently, it worked great on a GameBoy. It’s really nice seeing big projects starting to come out using HTML5 and responsive design. It definitely shows how it is unnecessary to write native apps for several platforms to get a great user experience.